Whether you are experiencing acute or chronic pain, we can help you relieve your pain, decrease inflammation, and speed up the healing process. During your first consultation, Dr. Han, our experienced acupuncturist in West Hartford, Connecticut, will create a custom comprehensive treatment plan for you which may include acupuncture, non-needle techniques (such as cupping, and/or moxibustion) and the Herbs to achieve optimal results. Dr. Han will explain everything and takes great care in making sure that his patients are comfortable with the treatment plan. Acupuncture can help with pain management and speed up the healing process. It is essential that you follow the guidance from your acupuncturist on the number of treatments needed. Acupuncture increases blood circulation to different parts of your body and relaxes your muscles. It also helps promote emotional well-being and can increase the effectiveness of your immune system. Instead of bringing the rest of your health down in order to reduce pain (like conventional medications do) it raises the level of your whole body health. 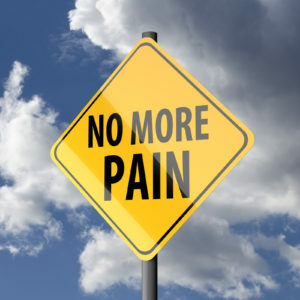 Chronic pain is continuous ongoing pain. Chronic pain is often caused by a neurological condition where the body’s warning system does not function properly. Instead, the brain thinks that the body is continually injured. Endorphins are released during acupuncture. These endorphins are chemicals sent from the brain to areas throughout the body that is experiencing pain. Acupuncturists seek to reset the body’s warning system. In order for this technique to work, patients will need to have multiple treatments and most patients do find relief from chronic pain. Dr. Han, our licensed acupuncturist in West Hartford / West End area is currently helping numerous patients who are turning to acupuncture treatment for chronic pain in Connecticut area. We take pride in serving our community in West Hartford, Hartford, Avon, Simsbury, Windsor, Farmington, New Britain, Bloomfield, Cheshire, Middletown, Enfield and more across Connecticut.